OneCNC offers this online training solution at no extra cost, provided you have purchased a OneCNC product. Signing up is free and easy, just provide your serial number along with the usual information and your in. 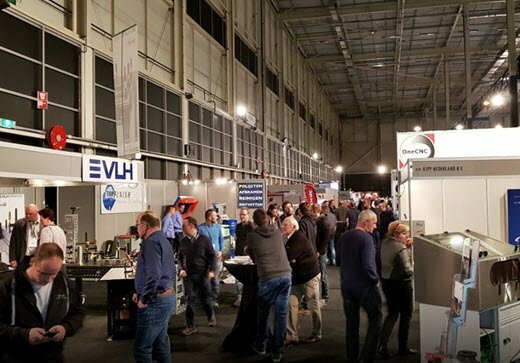 A very well attended show and an important one on the Netherlands calender. 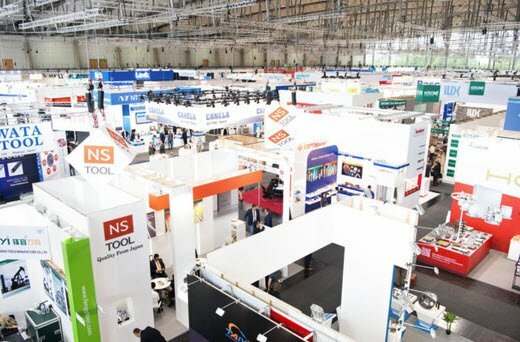 A record number of exhibitors (211) welcomed a total of 8,197 visitors. OneCNC Benelux cover all of the areas of the Netherlands Belgium and Luxembourg. Full training is also offered so that you can be manufacturing with the OneCNC advantages and efficiency on the shortest possible time. 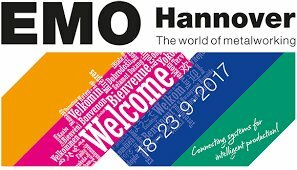 EMO is a fantastic window on the international engineering market. Here you can meet visitors from all over the world. For doing international business, there is simply no alternative to EMO. 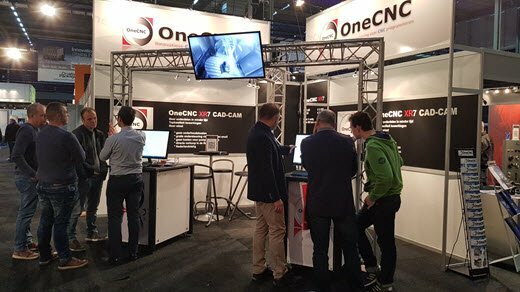 EMO gives OneCNC a unique opportunity to show our customers how we can apply the OneCNC CAD-CAM solutions for their benefit which was clearly confirmed by the many demonstrations and conversations at our stand. OneCNC application engineers talks were very promising indeed, both in terms of initial queries and firm orders. We have also gained many ideas for future development discussing our products with European customers. 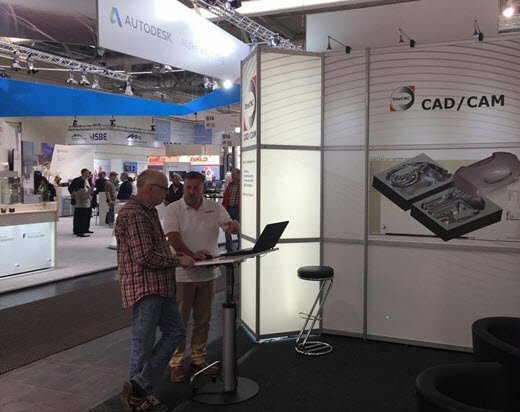 OneCNC has a strong presence in Europe and our application engineers were kept busy demonstrating the advantages of the complete range of OneCNC CAD-CAM Solutions. 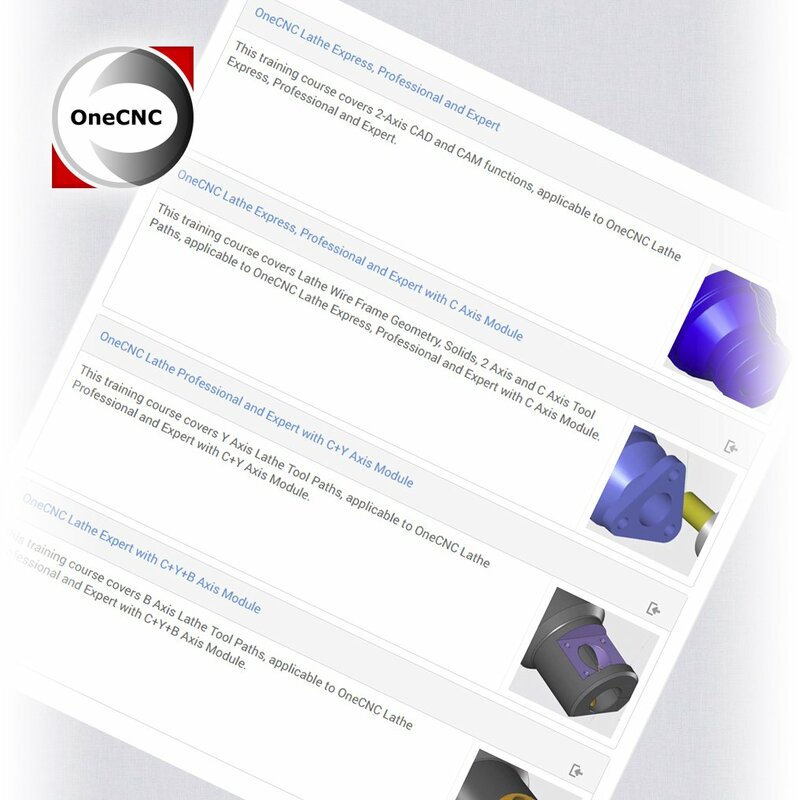 OneCNC Deutschland have extensive practical expertise in all facets of CAD CAM manufacture and provide in-house training, on-line training, or on-site training for all products. OneCNC Deutschland offers on-site training in your shop manufacturing your parts. If you were unable to attend for a personalized demonstration of the OneCNC CAD CAM Solutions we remind you that on-line demonstrations can be arranged at a convenient time so that you can evaluate first hand without leaving your shop.